VMfitness: BRRR.. it's cold... ARCTIC COLD... & Some Stuffed Bell Peppers! 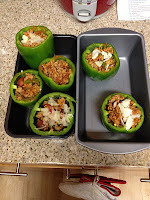 BRRR.. it's cold... ARCTIC COLD... & Some Stuffed Bell Peppers! It's getting colder outside! Leaves are changing colors, boots and jackets are coming out, and it's almost time for those chilly holidays, Thanksgiving, Christmas!! I can't believe how fast this year passed!! Almost a new year! 2 months away! Have you reached your 2012 goals?? Low calorie, gluten free, lactose free, high whey protein Ice Cream. Whaat?!!?! Yeah you read right. It's ice cream that is actually good for you! Perfect Post workout treat to shoot that protein straight to your hard earned muscles! And now that I'm going Gluten free due to Thyroid issues, these are the perfect dessert!!! 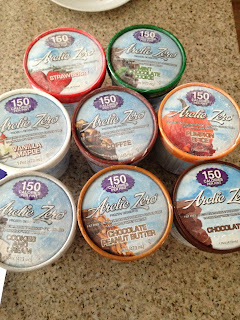 Arctic Zero is a high quality guilt free frozen dessert that is all natural, gluten free, suitable for lactose intolerants, and low glycemic. Like "super foods", we like to call it a "super dessert". People consume it for many reasons: just a snack, to replace a meal, indulge guilt free and the list goes on. 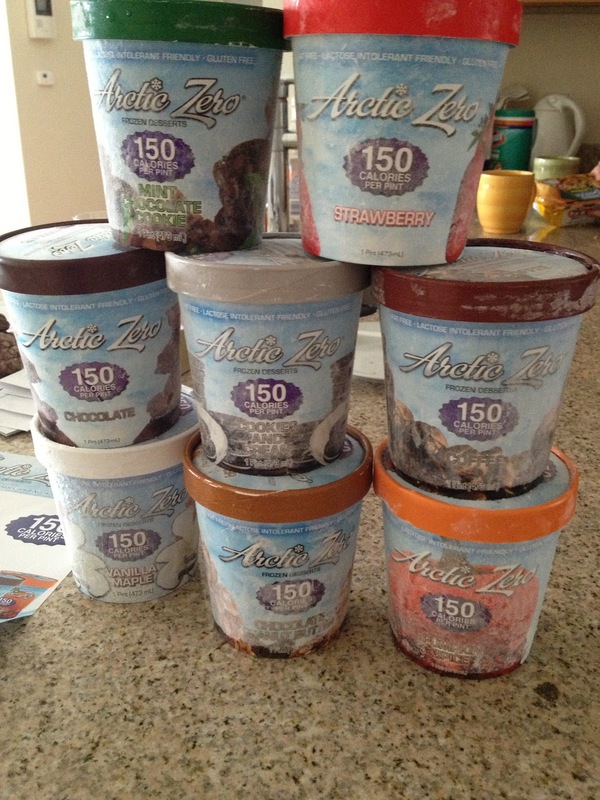 Arctic Zero is sweetened with a proprietary blend of monk fruit concentrate and organic cane sugar. We do not use artificial sweeteners or sugar alcohols of any kind. 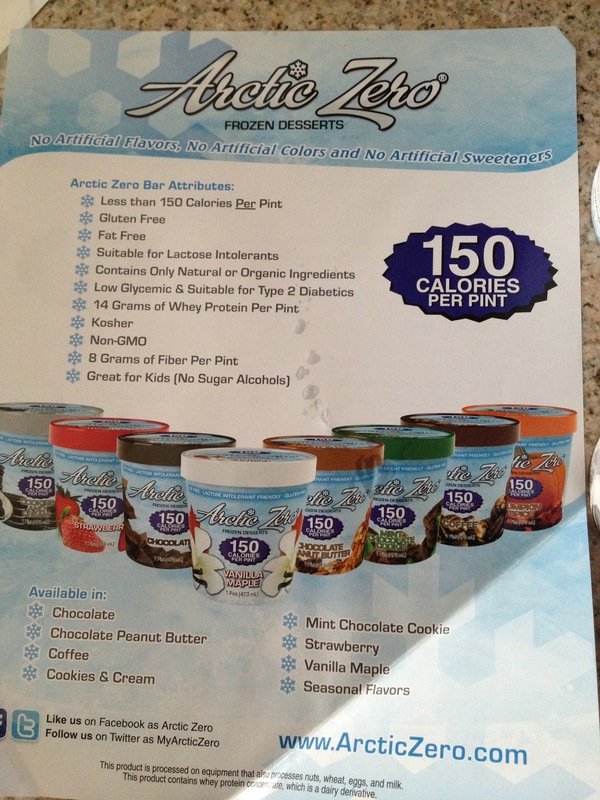 Arctic Zero contains whey protein concentrate, which is a milk derivative and therefore is not dairy free or vegan. If you have dairy/milk allergies please consult your physician. INGREDIENTS: PURIFIED WATER, WHEY PROTEIN CONCENTRATE, ORGANIC CANE SUGAR, CHICORY ROOT, INSTANT COFFEE, GUAR GUM, XANTHAN GUM, NATURAL FLAVORS, SEA SALT, MONK FRUIT CONCENTRATE. INGREDIENTS: PURIFIED WATER, WHEY PROTEIN CONCENTRATE, ORGANIC CANE SUGAR, CHICORY ROOT, STRAWBERRIES, GUAR GUM, XANTHAN GUM, NATURAL FLAVORS, BEET JUICE FOR COLOR, CITRIC ACID, SEA SALT, MONK FRUIT CONCENTRATE. INGREDIENTS: PURIFIED WATER, WHEY PROTEIN CONCENTRATE, ORGANIC CANE SUGAR, CHICORY ROOT, PUMPKIN, GUAR GUM, XANTHAN GUM, NATURAL FLAVORS, ANNATTO FOR COLOR, SEA SALT, MONK FRUIT CONCENTRATE. You can find out more information about their low calorie protein products at their website and to find out where they sell their products near you! And here are my reviews on the flavors! Vanilla Maple - This is a very light and sweet flavor. This is the one I usually see when I go to health grocery stores. They unfortunately don't carry all of their flavors, but of the few they do carry I always see this Vanilla Maple. It is sweeter than I expected, and the vanilla is nice and subtle, but it does have a strong maple flavor. Love it! Coffee - Such a great Coffee flavor! Not too bitter like black coffee, and not overly sweet either! You want a Starbucks frapp without the crazy calories? One of their small sugary drinks has more calories than this huge pint of ice cream! Crazy right?! And this was one of the flavors that still tasted like coffee the whole time! For a few of the others, my tongue would go numb and soon couldn't taste the flavor anymore, but the coffee flavor was still strong and potent till the very bottom. YUM! Pumpkin Spice - This is just the perfect flavor for fall. It tastes like pumpkin pie and cinnamon all in one! It's such a unique taste, like the name, pumpkin spice! 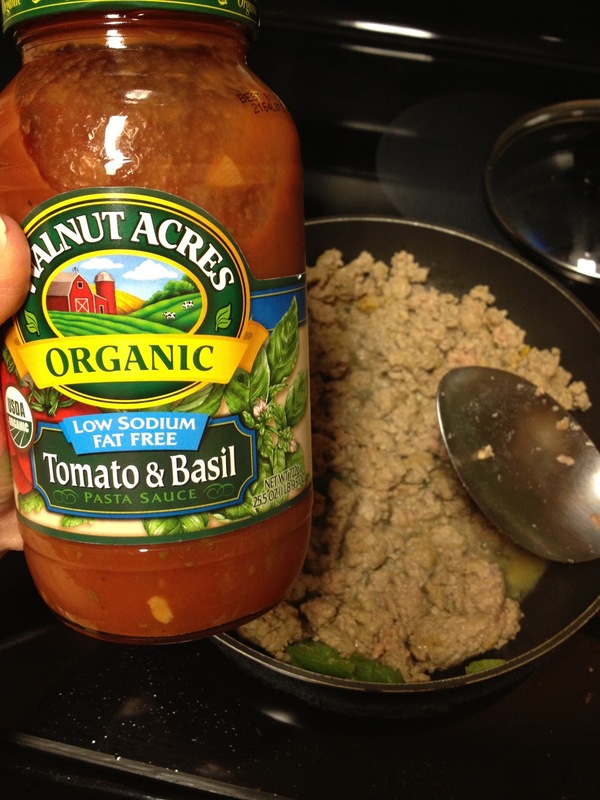 I ate this post workout all nice and snuggled up on my couch, it's such a relaxing flavor, if that makes any sense? And it was one of the ice creams where you could still taste the flavor even at the bottom of the carton! Chocolate - Chocolate, every girls best friend! You know how after a hard relationship breakup or any major stress-out, all the girls get together and stuff their face with fattening sweets, goodies, and ice cream? Well NOW you can stuff your face with healthy, protein packed Chocolate Ice Cream! So you can how your chow time, without the regretted weight and fat gain afterwords! Great chocolate flavor, not too bitter like 90% dark chocolate, but also not sickeningly sweet! Mint Chocolate Chip - I've heard some compare this flavor to Girl Scout Cookie Thin Mints, but since I have never had one (I was a Samoas cookie lover girl), I don't know if that's true or not. To me it tasted JUST like a YORK PEPPERMINT PATTY! Delicious, fresh, minty, chocolatey goodness. Strawberry - This was surprisingly delicious! It was so fresh, and there were actual real pieces of strawberries in there! Kind of like sorbet tasting, but creamier. So does it all sound too good to be true? 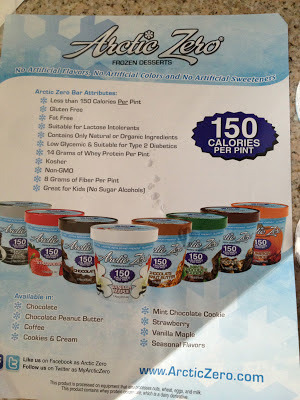 Delicious, low calorie ice cream, packed with protein, that's actually GOOD FOR YOU?! I don't know why you're still here reading this, go get some ARCTIC ZERO ICE CREAM NOWWW. They can be found at local health food stores or you can order them online through Amazon! Fast shipping and they come to you still frozen! While you're buying these amazing protein goodies, go follow them on twitter or like them on facebook to get some COOOL updates from the company! This, like my other recipes, is relatively simple! I don't like to overcomplicate anything and the easier, the better! So of course, feel free to add in ANY veggies and other herbs that you like! This is just what I had on hand! Added in: cayenne, onion powder, garlic, Mrs. Dash seasonings, cumin, and chopped up bell pepper! 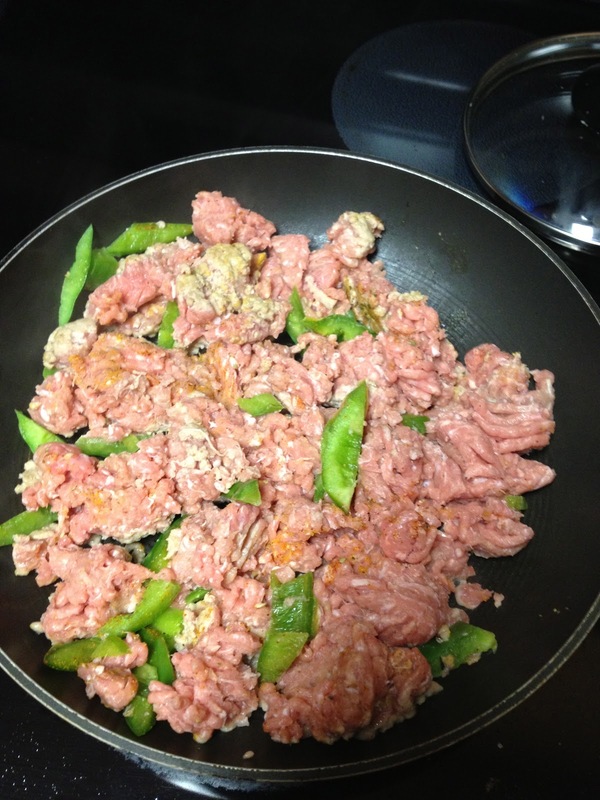 Once those were all nice and browned I added in 1 cup of low sodium tomato sauce and stirred everything together! Put them in a shallow dish and cover with foil! Pop them in the oven for about 20 minutes! 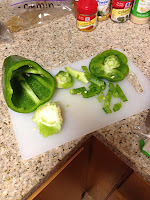 Now remember, you can make it zesty and add in any other veggies and shtuff that you want! Get creative! 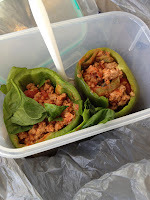 Clean eating is NOT boring! it will be a MUST HAVE TREAT at our fab 5 sleepovers!